Living in the city does not mean that you can’t enjoy homegrown vegetables and that, for your long term food supplies, you’re limited to MRE’s. 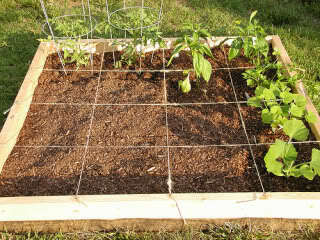 With square foot gardening you can grown homegrown vegetables in as little as four square feet. Should Fish Antibiotics Be In Your Survival Kit? Of course, you know about the basics that are in a first aid kit: bandages, antiseptic, gauze, etc. But, what should you do if the SHTF, you have an infection and you can’t get to a doctor? One solution could be to use fish antibiotics to help cure infections. Whether you’re Houston, Puerto Rico, or suffered from fires in the Northwest or Northern California, you maybe entitle to government assistance. This link from FEMA is a great starting point for you getting the help that you are entitled. Click here for more info. Botulism is one of the most deadliest forms of food poisoning. Symptoms of botulism poisoning include paralysis and eventually death. So, preventing botulism is of up-most importance. This site from, the CDC, is a great resource on preventing deadly botulism. There are three things you can do when faced with an active shooter situation crisis. Whether agree with NICS or not; criminal background checks are required for certain firearm purchases. This resource, from the FBI, explains all you need to know about the NICS background check and also steps that can be taken to appeal a failed background check. Just click the NCIS emblem.